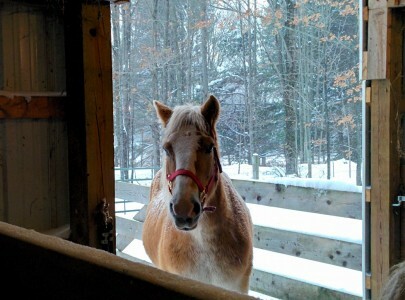 The Haflinger Backstory: Among my earliest memories is a fascination with farming. I don’t think I was even aware that there was any kind of farming of any interest except livestock farming. Foremost in those memories was my interest in horses. I poured over a picture book dedicated to the different breeds. I’ve long since forgotten the name of the book but my recollection of the paintings of the horses remains vivid. I was especially attracted to the painting of the Suffolk Punch. The team was depicted pulling a plow. The accompanying text explained that the Suffolk was the only draft breed expressly developed for farm work. Here you had it, my interests brought together: farming and Suffolk horses. For years it was my plan to get a team of Suffolks to work on my farm (whenever that might be).